Klarity offers multiple solutions that are compatible with SRS treatments and Elekta systems. Our Klarity Green™ and LiteGreen™ masks offer increased stability while maintaining a higher level of comfort for patients. Our SRS and E-Type Masks are compatible for seamless system integration. Please contact info@klaritymedical.com to learn more. 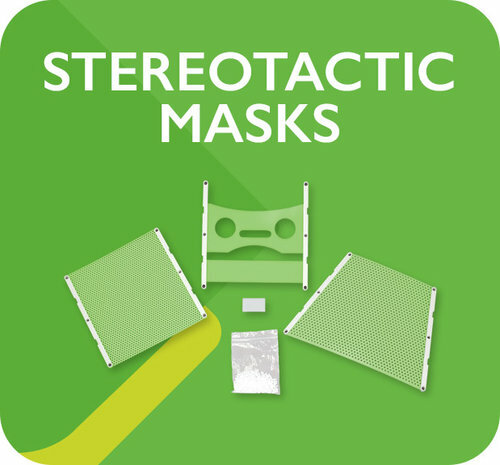 Stereotactic Masks Compatible with BrainLAB systems. Our stereotactic masks have been used by clinics worldwide. Masks are available in both standard white and KlarityGreen™ thermoplastic. 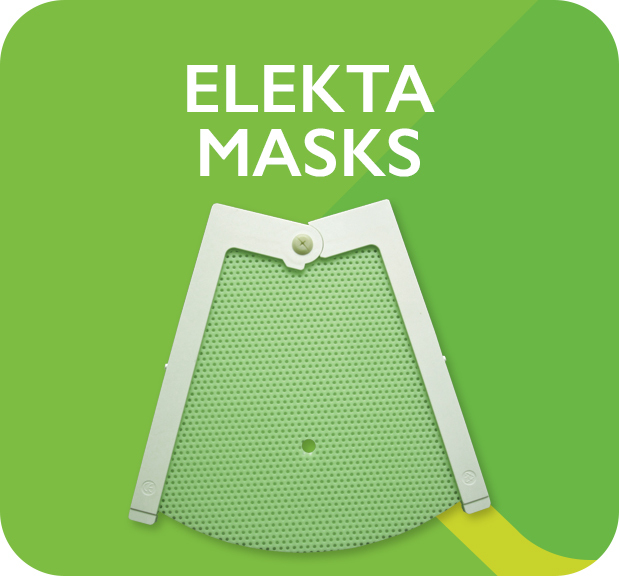 Klarity offers masks and AccuCushions™ for the Elekta Gamma Knife® Icon™ System. The masks are made of Klarity LiteGreen™ thermoplastic for non-stick, rigid immobilization. Klarity masks for Elekta Fraxion, HeadSTEP, and Icon systems are made of Klarity LiteGreen™ thermoplastic for strong, rigid immobilization and easy moldability. AccuCushions® provide secure, customized head and neck support for patients. AccuCushion® sizes are available for multiple head sizes and are compatible with multiple mask systems.